Michael Jackson’s doctor, Conrad Murray, has had his pre-trial for the manslaughter charge against Jackson set for January 2011. 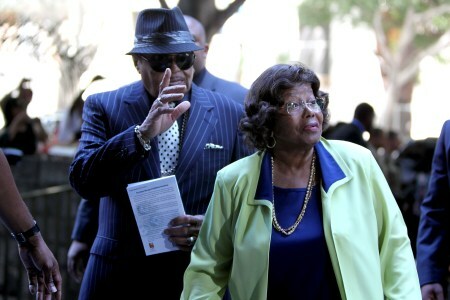 The pre-trial hearing for Michael Jackson’s former personal physician Dr Conrad Murray has been set for January 4, 2011 and parents Joseph and Katherine Jackson were in the Los Angeles courtroom to hear it. Sources close to the doc tell TMZ that Dr Murray’s “not at all upset” with the people who were calling him a “murderer” on the way out of court. Michael Jackson’s doctor’s pre-trial hearing has been delayed due to witness availability and the ongoing investigation. Murray pleaded not guilty to charges of involuntary manslaughter. He was released on $75,000 bail. Murray will be back in court on October 26 for a status hearing. The King of Pop died June 25, 2009 from cardiac arrest. On August 28, 2009 the LA coroner declared Jackson’s death a homicide caused by the drugs found in his body, one of them propofol, an intravenously administered drug usually used in hospital settings. Murray has claimed that he was trying to get Jackson off his use of propofol. The Post Chronicle said that fans are planning to protest the day of the hearing. We all want to know the truth about what happened to our beloved Jackson and the extent of Murray’s involvement.